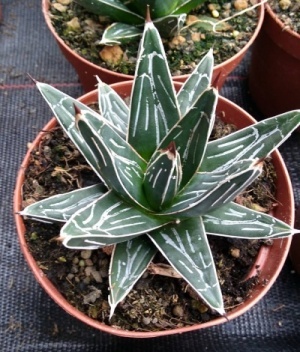 Our indoor plants start to become available from the end of April once we are satisfied they are ready after their spring potting and the worst risk of cold nights has passed. 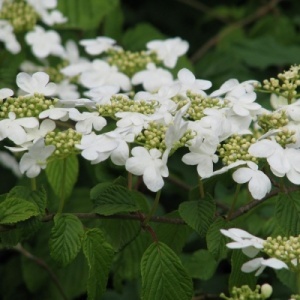 If there are any plants you are interested in please let us know, so we can reserve them for you. 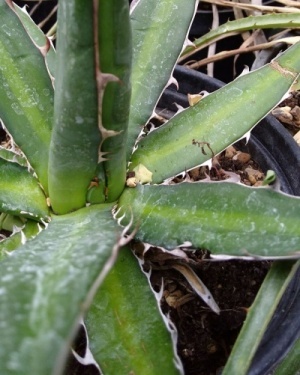 Well-branched spreading succulent with attractive rosettes, the new leaves being yellow with a pink margin, turning green with age still retaining the pink margin. Panicles of pale yellow flowers appear in spring. Min. temp. 2°C. 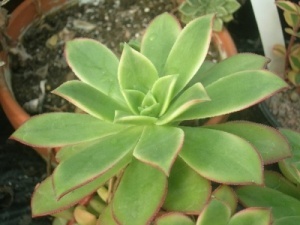 Succulent with dark green leaves bearing the imprint of the above leaves and cream flowers in summer. Grow in loam based compost with plenty of added grit in full sun. VERY PRICKLY. An attractive shrubby succulent. 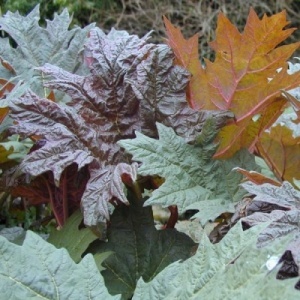 The large pale grey leaves have a fine powdery bloom which contrasts nicely with their narrow red margins. 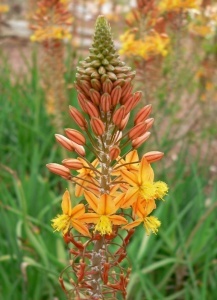 Clusters of orange bell-shaped flowers may appear on mature plants. 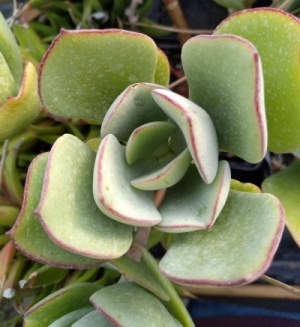 A shrubby succulent with glossy grey leaves on thick succulent stems. 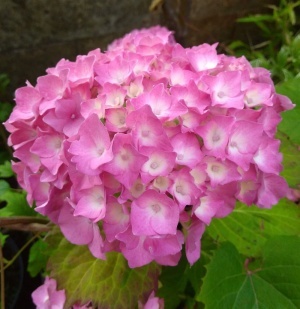 Small pink-white flowers may appear from autumn to winter on large plants. 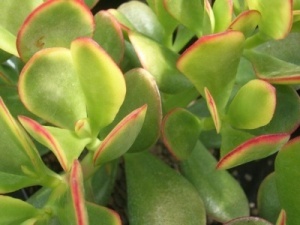 A stunning succulent and a good alternative to the usual Jade Tree, with fat leaves tinged with red & yellow and white flowers in winter. 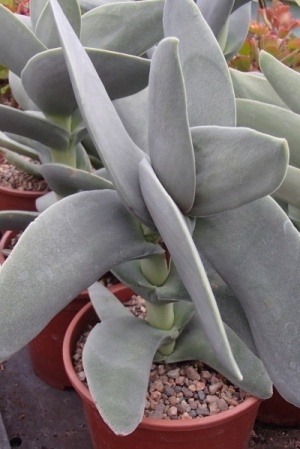 Large succulent with fleshy grey leaves arranged propeller fashion. Bright red flowers like a shaving-brush appear in summer. Succulent with slender grey leaves. 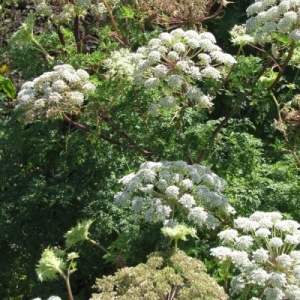 Tall spikes of white, bell shaped flowers appear in summer on mature plants. 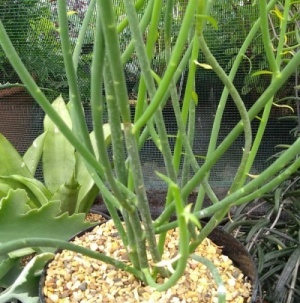 South African succulent forming clumps of upright mostly leafless stems, topped in spring with small yellow flowers.